Flea's funk- and jazz-influenced bass lines helped propel the Red Hot Chili Peppers to the top of the rock and alternative charts while redefining the role of bass in the modern era. Flea's unique playing style brought a welcome breath of fresh air to the musical landscape of the past four decades, inspiring countless bassists to add a funky touch to their sound while exploring new techniques and harmonic possibilities. 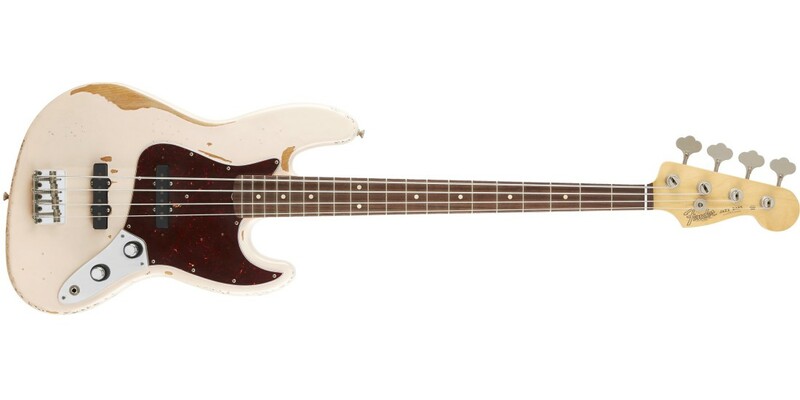 To celebrate his enduring influence, Fender has recreated his prized Shell Pink '61 Jazz Bass that he received from a fan and used to record the Peppers' "Stadium Arcadium" and "The Getaway," as well as with the supergroup, Atoms For Peace. A pair of vintage-style, American-made Pure Vintage '64 Jazz Bass single-coil pickups provides classic, original-era Fender tone with clear articulation, clear low end definition, up-front midrange punch and singing high end. The vintage-accurate stacked concentric controls shape the pickups' volume and tone, as well as allowing the pickups to be blended in any ratio. The Flea Jazz Bass plays fast and easy, thanks to its period-accurate 20-fret "C"-shaped maple neck with a smooth Road Worn nitrocellulose lacquer finish on the back, plus a 7.25"-radius rosewood fingerboard with a 1.5" wide nut. The vintage-style bridge sports four threaded steel "barrel" saddles, adding a touch of crispness to enhance the attack for tone that can power through a busy mix. 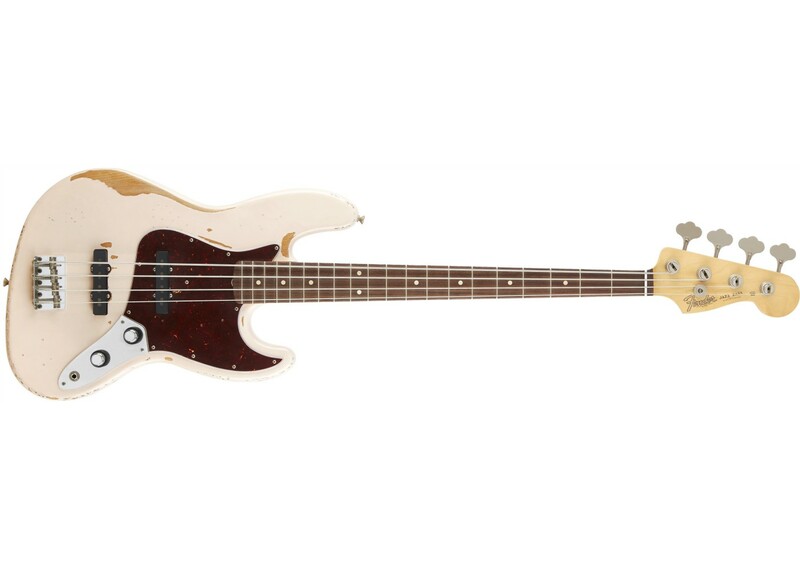 Shell Pink is the rarest of Fender's classic Custom Color finishes, and Flea's '61 Jazz Bass is quite possibly the only one in existence. We've carefully recreated his personal instrument's exact faded shade as it exists today, and then applied an eye-catching Road Worn nitrocellulose lacquer finish that perfectly replicates Flea's playing wear. A special neck plate engraved with Flea's own artwork commemorates the inspiration behind this instrument. Other aesthetic touches include nickel/chrome hardware, 3-ply tortoiseshell pickguard and aged white dot position inlays. Melding rhythm and melody with fierce personal style, Flea's left his mark on modern music, and the Flea Jazz Bass is the perfect tool to make your own.